We'd like to start with a great big thank you for all your very kind messages in reaction to our Facing the inevitable update a few days ago - we couldn't have asked for better backers and supporters, and we're taking all your thoughts and comments on board as to the future of Dizzy. 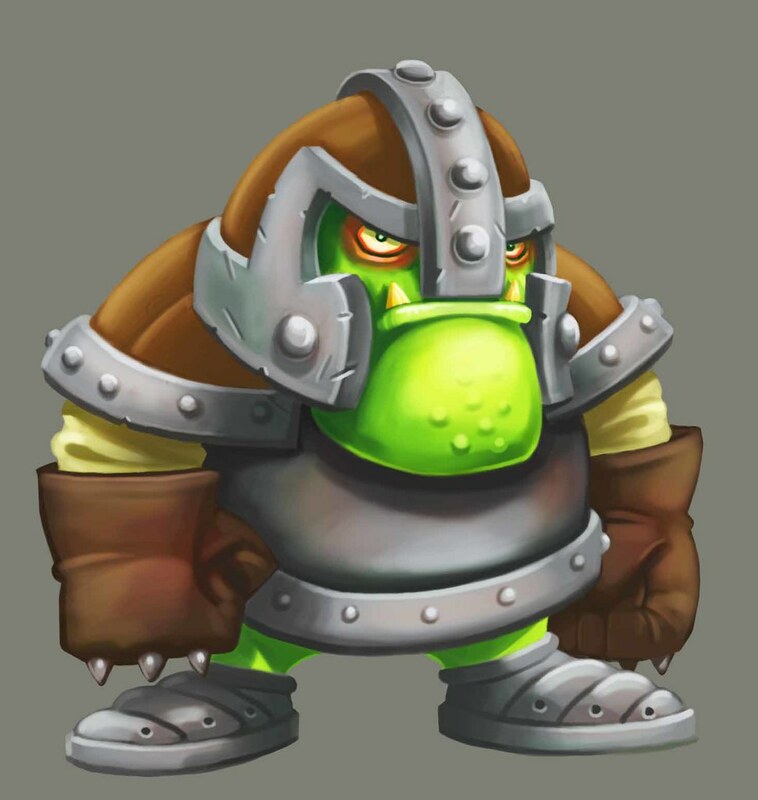 As promised, in this update we'll be sharing with you as yet unseen art work from Dizzy Returns, featuring character concepts of some of the enemy characters from the game. 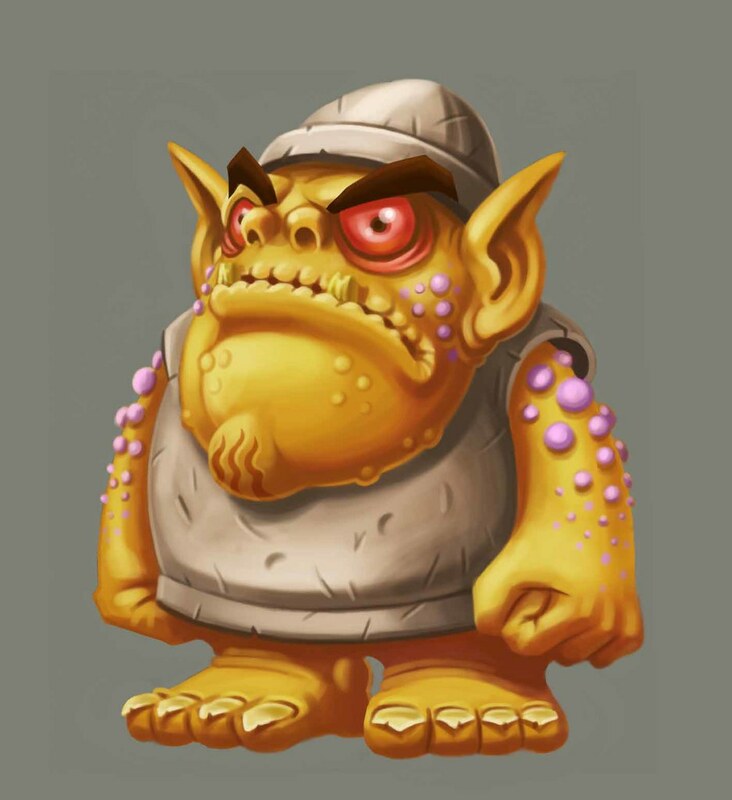 First up we have a coloured version of Rockwart the troll (if you haven't already you can check out some concept sketches of Rockwart in one of our previous updates here). 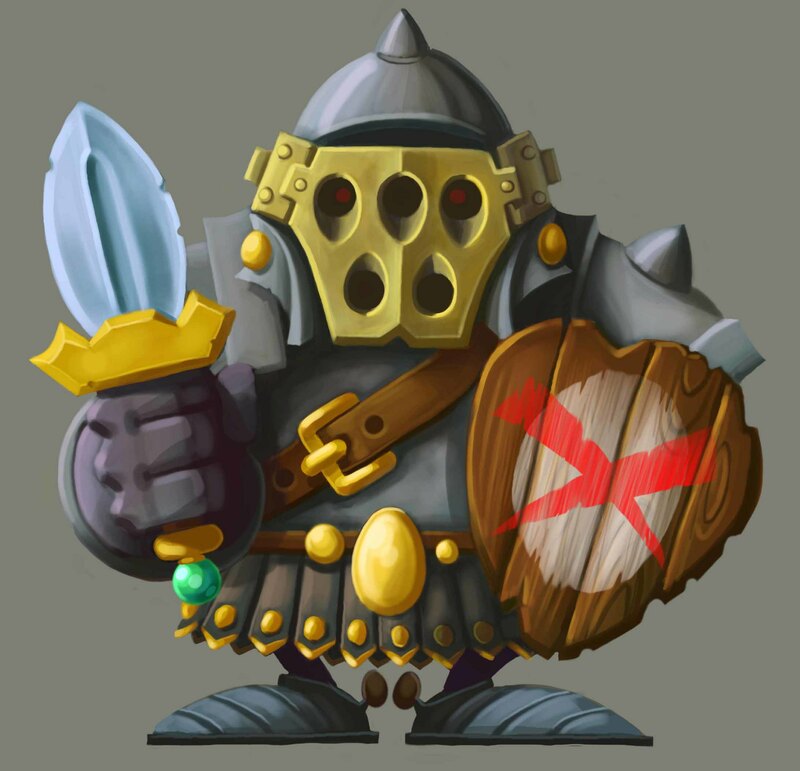 Speaking of underlings, here's an Egg Knight, one of Zaks' crack troops (if you'll forgive the pun) dedicated to ridding the world of Dizzy. 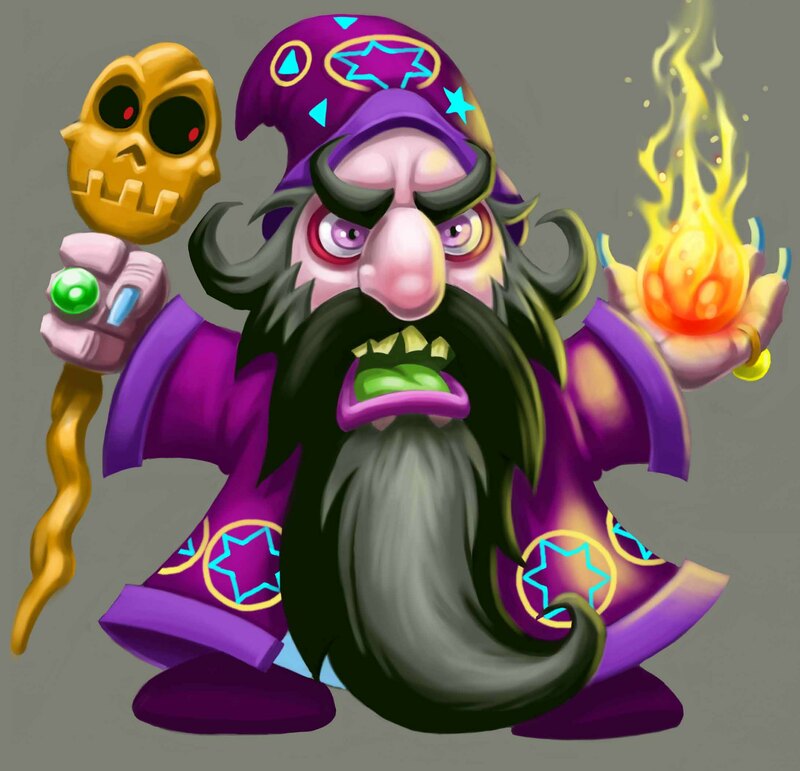 Finally, we have Zaks the Evil Wizard himself, Dizzy's arch-nemesis and all-round big bad guy, looking as nasty as ever! On Monday we'll be sharing some more unseen concept art with you, including some level design work on an area that was to appear mid-way through the game, under the working title of Olivia's Cove. Fantastic artwork! Thanks for sharing it with us. Really good designs. I wish some rich fan would happen across this Kickstarter and get this made. . .
Fab art! Love Dizzy and will be dreaming of the day when Dizzy Returns. I will be setting myself up on game networks, etc, in preparation for the big push 'when' you're ready to bring him back. All the best to you both and your team. It would be a shame for all of this early work to be shelved for entirely or for years to come. Hopefully we'll see Dizzy Returns try an alternate method sometime in the (not too distant) future. Amazing art. I look forward to pledging if/when this kickstarter is relaunched. Thank you. I hope one day we will see Dizzy returs again! Good luck!